Aspiring registered nurses (RNs) in Maine can choose to complete their pre-licensure programs at a public or private college, both of which offer distinct benefits. Public schools are usually subsidized by the government, making them less expensive and more accessible than private schools. Public colleges and universities are also found in cities and towns all around the country, making them convenient to attend while living close to home. In spite of the difference in cost, public colleges or state universities offer the same nursing programs as private schools, and award the same types of degrees. Registered nurses typically pursue bachelor of science in nursing (BSN) degrees for their pre-licensure programs. Although this is the most common career path in nursing, hospitals are increasingly urging their RNs to return to school to pursue master of science in nursing (MSN) programs to become nurse practitioners (NPs). 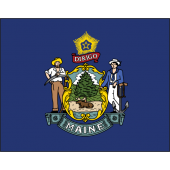 There are approximately 13,890 RNs working in Maine, earning annual salaries in the range of $52,320 to $72,560. As a point of comparison, the in-state salary range for NPs working in Maine is between $81,610 and $106,000. Opportunities in the nursing field are projected to grow in the years ahead. Some of the leading employers for nurses in the state are Maine Medical Center, Mercy Hospital, and Genesis Healthcare. If you are interested in starting your nursing career in Maine, check out the below list of the best public nursing schools in the state.